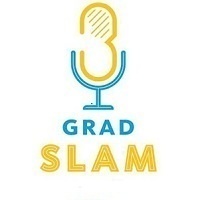 Join us as 10 PhD student finalists each present their research in 3 minutes or less in front of the judges and a live audience – in language accessible to a general audience. This popular event is likely to be standing-room only, so mark your calendar and plan to show up early. The 1st prize winner of the competition will be awarded a $4,000 cash prize, 2nd prize winner will receive $2,000, and 3rd prize will be $1,000. Reception and award presentation at Mission Bay will follow immediately after. Note that YOU may also be a judge! The winner of the "People's Choice" category ($750 prize) will be chosen by the audience at Mission Bay and the Parnassus live stream. NOTE: Once again, the event will also be live-streamed to Parnassus (N 225)! Attendees at Parnassus will also be able to cast audience ballots, and will enjoy a reception after the talks, while awaiting announcement of awardees.